5 comments : Labels: Road to My Wedding! I got my iPad here with me on the bed, so I figured I should write about how I feel and express it here, right this second... Hopefully by expressing it, would slowly make me stop crying..somehow. Well, after watching the movie, I just felt so sad and happy at the same time. But mostly happy I guess. Extremely happy and grateful. It's hard to explain the feelings I feel right now. They're all mixed up. Safe Haven's storyline was kinda similar to mine that it triggers the old memories to flash like a movie trailer in my head. I forgot how it felt like, last time. But this movie just triggered me to remember the old, sucky, stupid memories I had. And I guess this is the reason why I can't stop myself from crying. The movie just reminds me of my old self; stupid, insecure, and always felt worthless when I was with him. I guess the reason why I'm in tears right now is because I realized how happy I am today...and how grateful I feel to be free from my old life. Mashaallah, it's really an amazing feeling when you have someone who really cared about you, and really loved you for who you are...and is sincere to you. I thought I have forgotten it. But I guess your cruel act (and words) towards me (and the rest of your victims - so I heard) last time, made it kinda hard to vanish everything from my mind instantly.. although I really AM happy right now, despite my bad experience. However... when the woman in the movie described her feelings just exactly like how I felt last time...I just...felt so sad and it just triggers the bad memories to play in my mind. Because I remember how I stuck up with you because I was so damn afraid. Sigh.... I get goosebumps when Katie, one of the character in the movie said, "You just become dark.. like the life just sucked out of you. You just felt worthless. Like there's no point. And I just stuck up for him all the time. Cause it wasn't his fault. It was mine. And you're completely alone..." - Damn those words just really triggers my button! So yeah, I blame the movie actually, for reminding me of you, hence this emotional post tonight! Ishhh..You stupid movies!!! >__< (Ok sorry Nicholas Sparks... Your movie is damn awesome. This is just me and my history, nothing to do with your storyline. I'm just being a little melodramatic over here. Hehe) Or maybe.. this is just tears of happiness? Extremely happy tears I guess? Hmm.. I'm not sure myself. I'm so confused with my feelings right now. I don't know exactly what I feel right now that made me burst into tears like this! The last time I cried so bad like this and cry myself to bed was...when every time I had a fight with that man.. And tonight, it's happening again but I'm not even sure whether this is a happy tears or a sad one? All I know is that I feel sad but happy, and happy but sad?? If that even make sense..
Every time when I think about how we met, how we fell in love and how everything just fall into place when I met him, I could cry..thinking about God's mercy, power and greatness! It's just amazing! :) God....I love him so much. And I love YOU, especially for giving me that test, and this happiness. Oh Allah, I'm forever grateful to You. Whatever I say could never be enough. You gave me strength to overcome my uncertainties, and stand firm against all the odds. You are the one who did revive my soul. 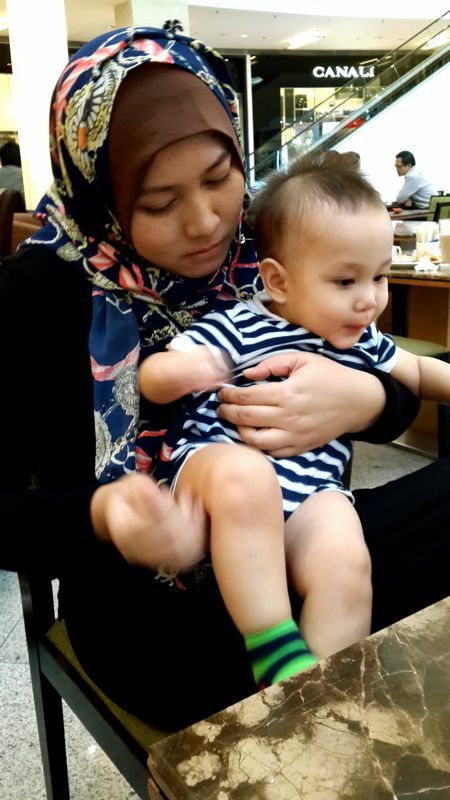 You shone your light into my heart.. And now I know how it’s like to have a precious love in my life, and how it feels to finally be at peace inside - Okayyy...I took that from Maher Zain, but really.. that's how I feel about all this. hehe. Anyway, I'm not trying to tell people here that I have a perfect man with me and have a perfect life or whatever. Cuz no one is..and I am no exception. He is not even close to being perfect. Only Allah is Perfect. But..I'm happy that we're perfect for each other...and I'm really grateful for that. And I feel so blessed to have this kind of love and relationship.. finally! P/s: I'm not sure if you're gonna read this post, honey. But if you do, don't be so kembang semangkuk bcuz I just praised you a lot here... You're not that awesome! ;p I still hate it when you're always so kalut sometimes. haha. (Or maybe all the time? LOL ;p) So don't be so comfortable with me. I still want you to be very sweet to me, every day and every night. Otherwise you're screwed! haha. Just kidding.. I love you baby. I really do. You're my safe haven. 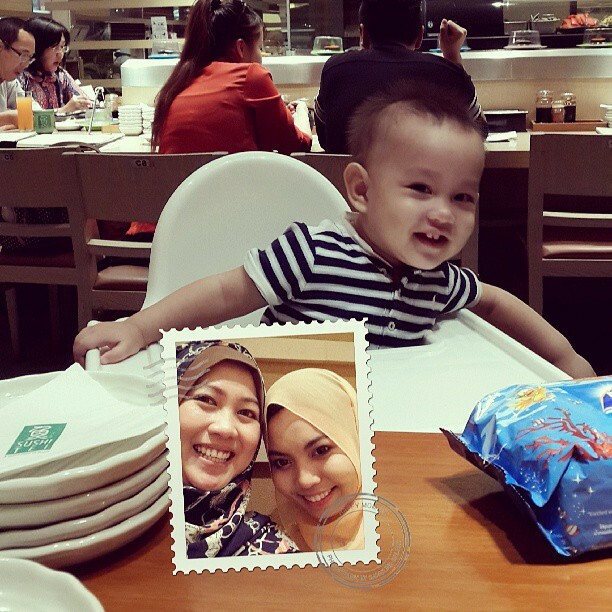 1 comment : Labels: Feelings / Emotions , Grown Up Things , Life and Love , This is Happiness! These are the lenses that I love. They're from Magicolor. I've been wearing this brand for a couple of years already.. I love that they're SO comfortable, and their lenses are very natural-looking. I really don't like those very fake-looking contact lenses. - By saying fake, I mean those with so many patterns on the lens, with weird colors that made you look so freaky! 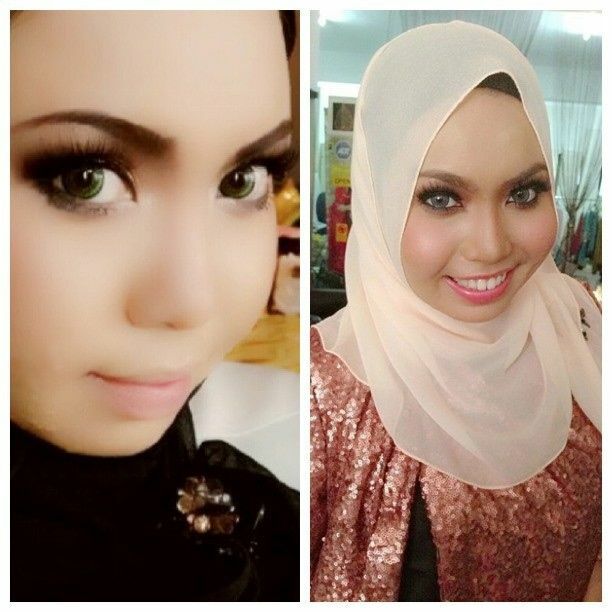 Wearing a green lens on the left pic, and grey one on the right pic. What I like about their lenses is that it didn't feel dry nor it gives me eye irritation or redness at all, unlike some other brands I tried. It's very comfortable, thanks to it's 55% water content. Another huge point that I like about their lens, is the diameter of their lenses are so big! It's 16mm! Really made a difference to your eye!! 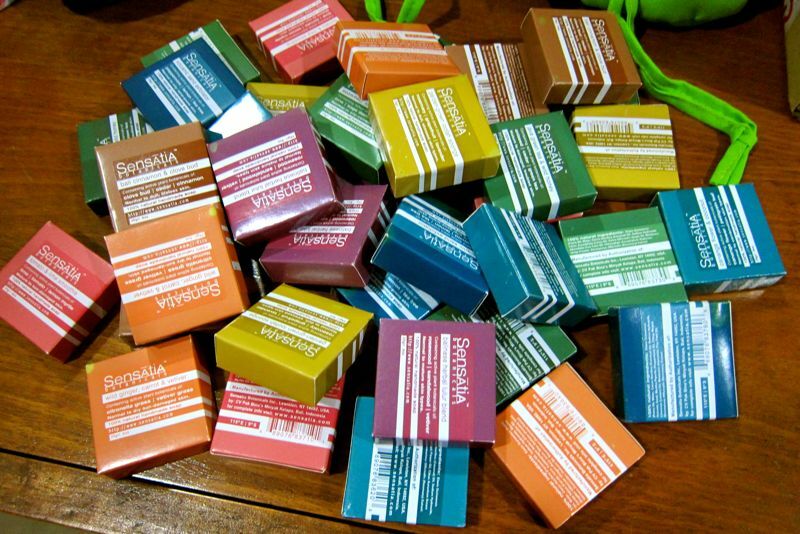 Not only they're pretty natural looking, but they also comes in pretty colors that you can choose! From the usual grey and brown...to green, blue, violet and even pink! 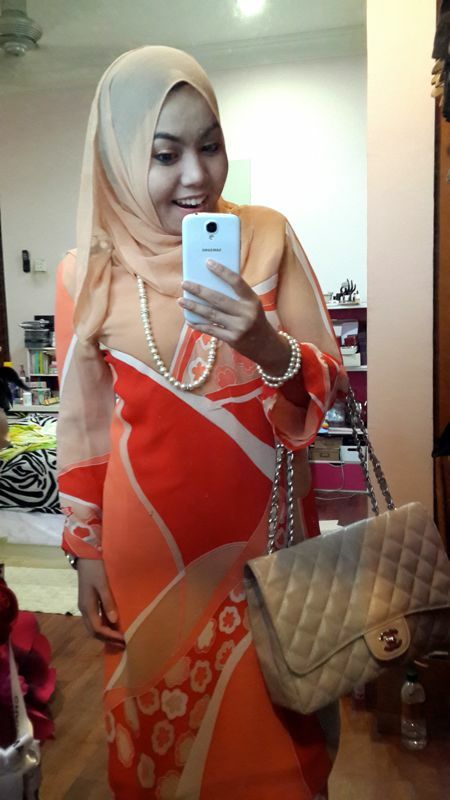 Semua pun cantik! 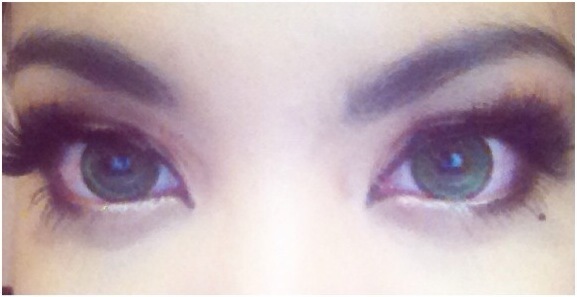 I'm wearing a green contact lens here (my new fave color! ), and as you can see, the lenses are quite natural looking. My eyes didn't look so green and so fake (at least to me! hehe). Cuz there isn't much of an outer ring and it is not as opaque like the other brands I tried. It defines the eyes subtly...which I like! 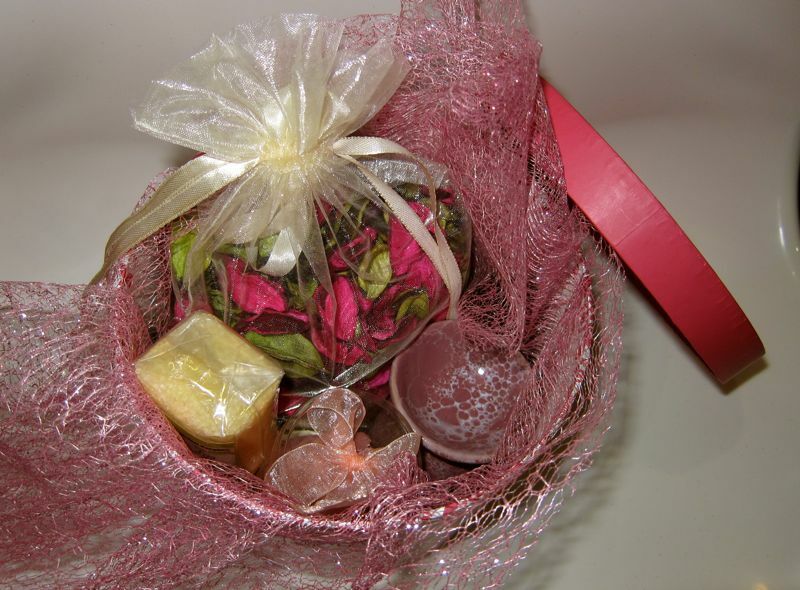 Pros : Natural looking, non drying, enlarging effect, comfortable even long-wear! 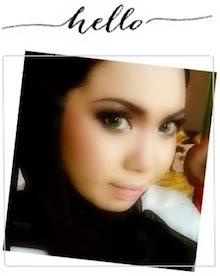 You are recommended to insert your contact lenses before make-up and dress. Inserting them after, may increase the risk of causing irritation to eye, as cosmetic products can get caught between your eye and the lens. 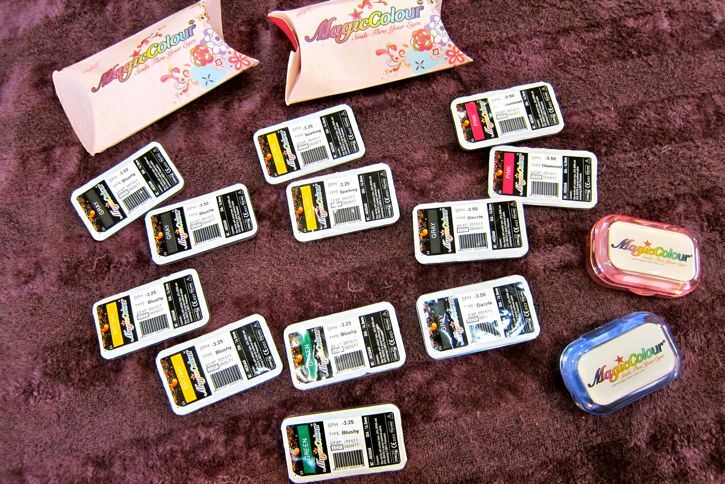 Regarding the cosmetics, it is advisable to avoid powders or lower quality products as much as possible. As make-up can easily stick to lenses (or even damage them), using high quality cosmetics can help prevent eye irritation. Keep your eye closed when eyeliner and eye shadow are being applied. 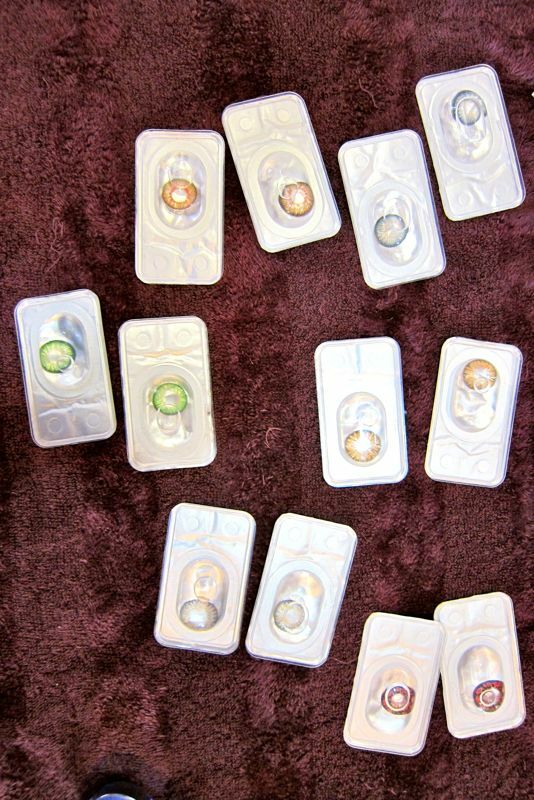 Daily disposable contact lenses are recommended if you do not want to worry about regular care. These are great if you prefer to just throw out used lenses at night and wear a fresh pair every morning. Glad I chose the dark grey lens on that day. I loved all my pictures! 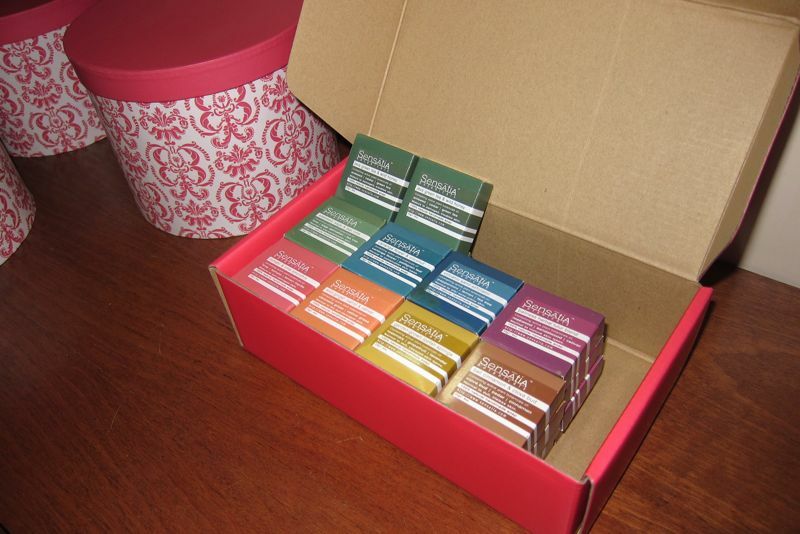 8 comments : Labels: Beauty , Reviews , Road to My Wedding! I have an awesome news and awesome deal specially for you guys!!! SK-II just launched their new Stem Power Essence and there's a sweet deal made exclusively for my sweet blog readers! It's called the Exclusive Stempower Kit which comes in limited pieces, so don't you miss out on this deal yeah!!! 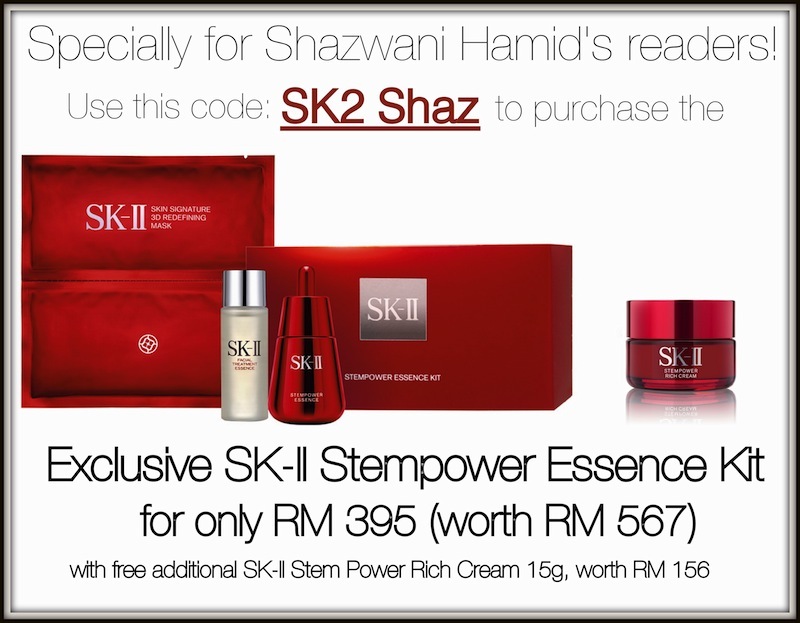 All you need to do is just mention my code: SK2 Shaz at any SK-II counters near you! This promotion is available nationwide, from 22 July 2013 onwards while stocks last! So hurry, go to your nearest SK-II counters and purchase this exclusive set, before they're sold out! SK-II Skin Signature 3D Redefining Mask 1pc. 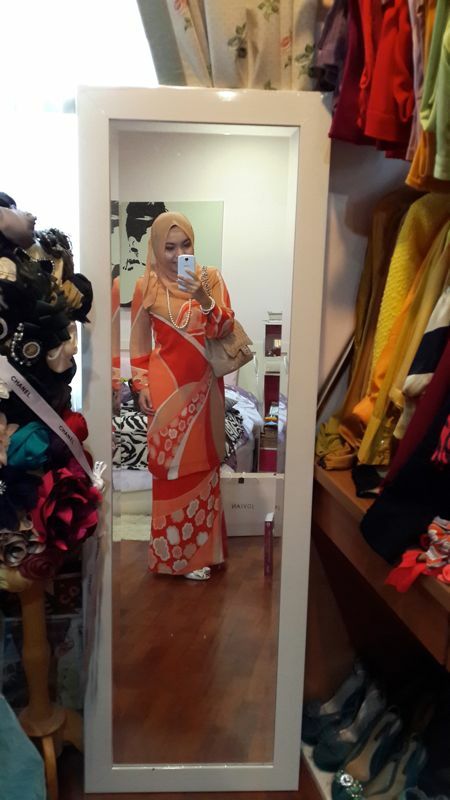 I love fashion, but I gotta say...I'm not one of those girls who love experimenting with my everyday hijab style, unless 10 people have approved it! haha. 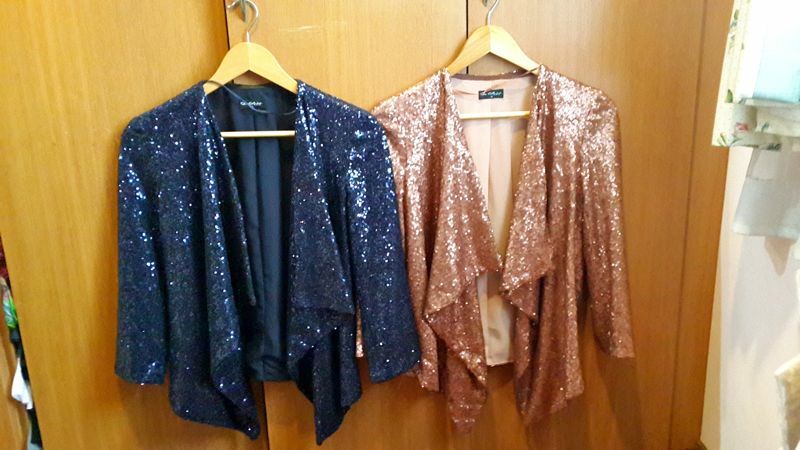 Being someone who really love fashion and style, I always wanted to do so actually, but I never have the guts to wear it outside of my room simply cuz I'm not that confident with my face shape! I know I got a big jawline, thanks to daddy's gene! LOL... So a tiny bit wrong step, can make me look soooo wrong and a fashion disaster, instead of a fashion statement, I thought?! hehe... So that's why you always see me in the same style of hijab most of the time. - Better to play safe, I think? 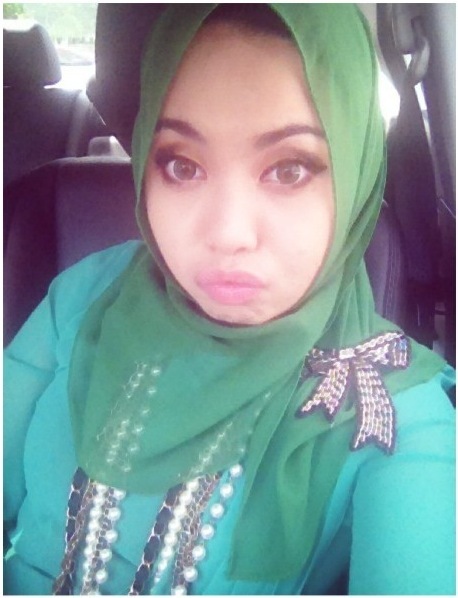 But honestly...I would LOVE to doll up everyday with different hijab style and still look fresh and fabulous! So now that Sunsilk is running a contest on their Facebook page called Hijabku Gayaku, - they're seeking for 10 hijab models and 10 talented fashion designers for the contest, I kinda feel like I wanna join this one! Who knows...I might pick up my very own hijab style while I am in this contest, right?? 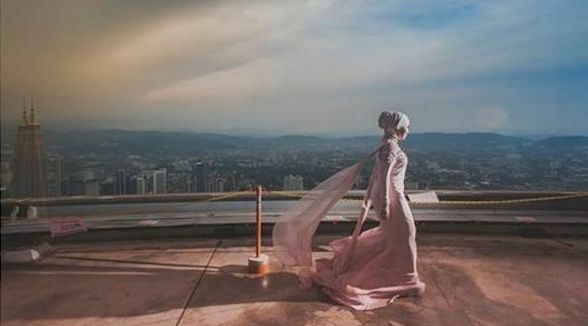 :) - These 10 models and 10 designers will showcase themselves on the runway of Islamic Fashion Festival (IFF) end of this year! First off, you need to click "Like" on their FB app page for you to join this contest! To submit your participation, click on the "Sertai Sekarang" tab in the app! If you wanna join...but don't have any clue on how to style your hijab, fret not! 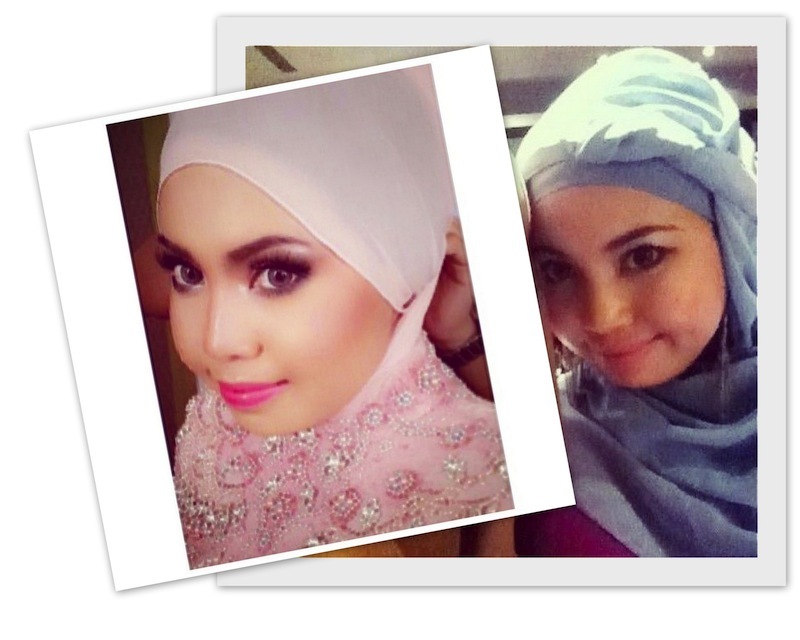 There are some hijab tutorial by the Scarflets as well in the page, for you to get inspired..and create your own style! For the designers, you will need to submit sketches, and for the models, you'll need to send your pictures through their FB app. 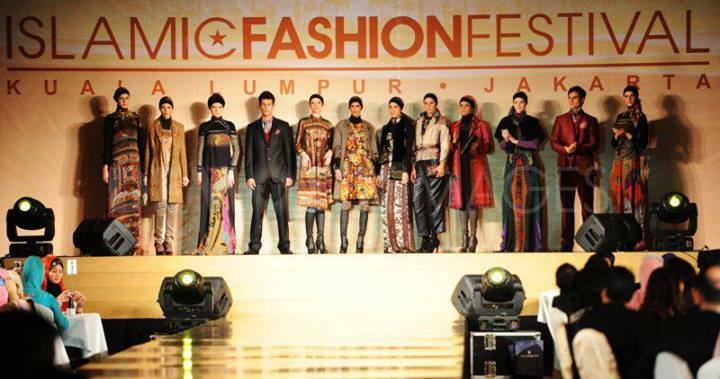 The 10 models and 10 designers will showcase themselves on the runway of Islamic Fashion Festival (IFF) end of this year! How exciting!!! You girls should definitely join the contest!!! The contest is already up actually and it will end on 31st July 2013! So you got less than a month to join! 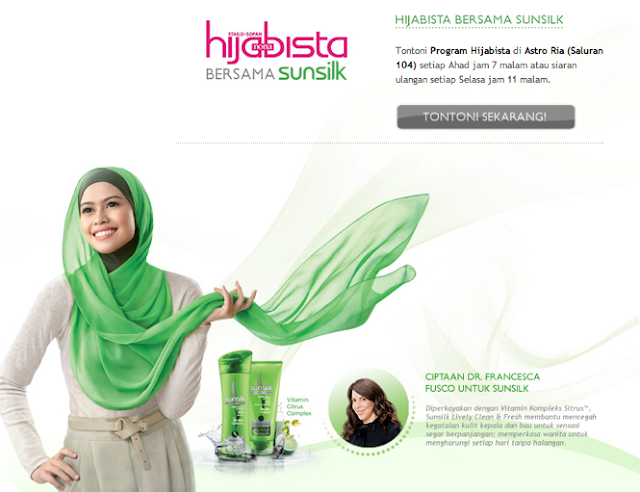 Come, let's join the fun and be a hijabista!!! For more info, please visit here! 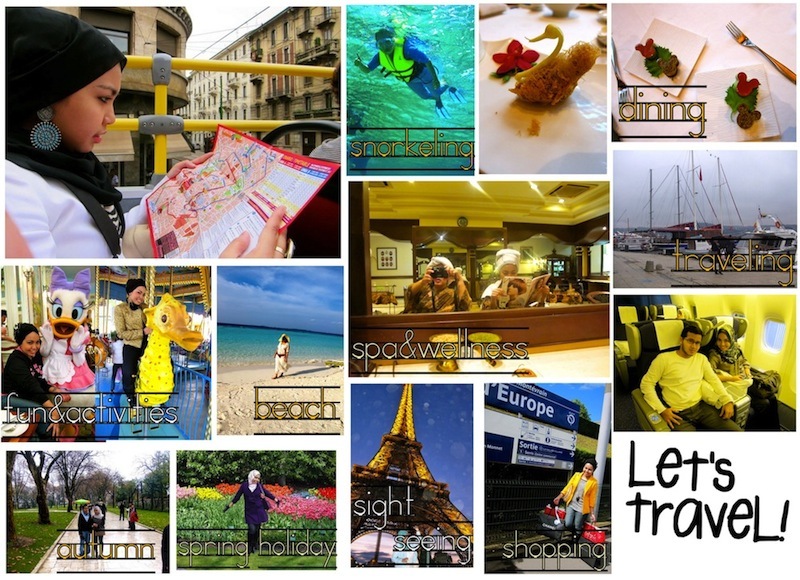 You can have a look in the participants gallery, to get more ideas and inspirations before you submit your own photo and be in the contest! Hope to see you girls there! I'm definitely gonna submit mine! 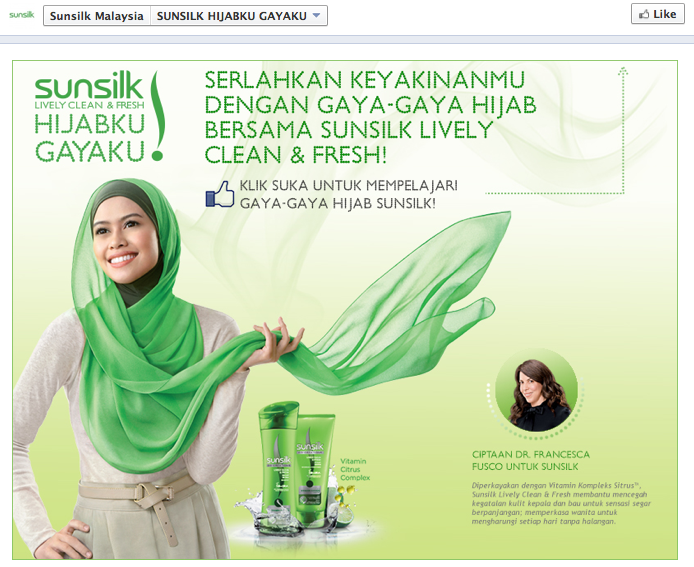 Visit Sunsilk FB page for more info! I just got my E-day photos from my photographer today...and while I was sorting out the pictures into my photo album in my laptop, I saw these photos of me in the newspaper...which I totally forgot I had them! haha. - You know, the one that I went for the photo shoot that I told you guys last time. I've been meaning to put it up on my blog actually, but I guess I was so busy preparing my E-day and lost track already which one to blog first. haha.. But anyhow, here it is! I was featured in Harian Metro last month..
Click on the picture to read..
Standard Chartered introduced the Worldmiles Card! I bet most of you guys love traveling, no? Well how about traveling with redeemed flight tickets?? Oh, sweet heaven that would be SO awesomeee! - But who wants to give things for free right? There's no such thing as a free lunch, anyways! 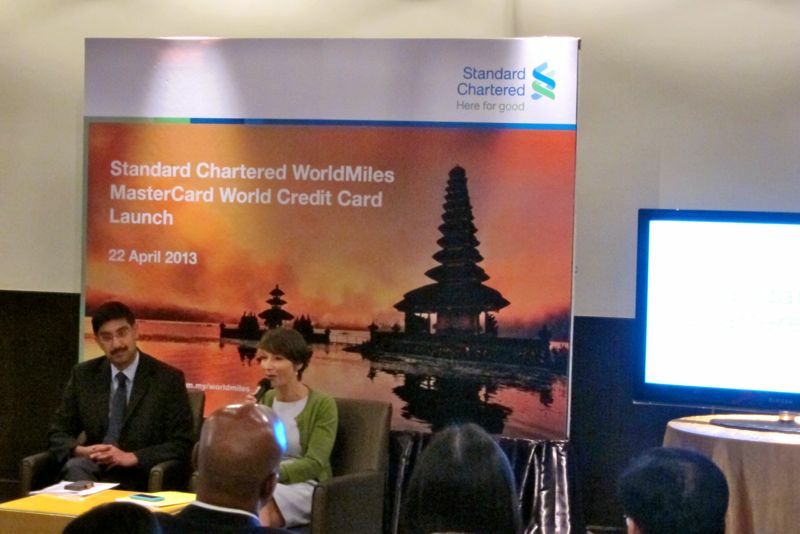 tskk..
Oh well...your wish still CAN come true when you sign up and activate for the Standard Chartered credit card!!! - But not just any kind of credit card... 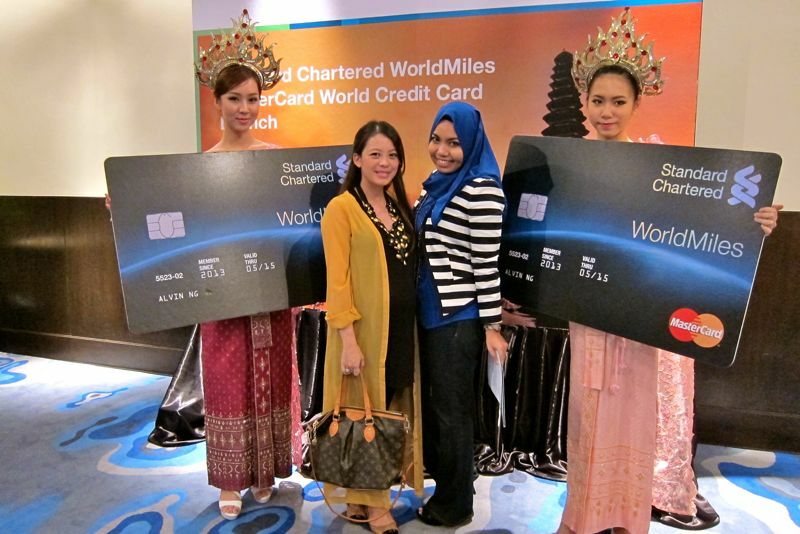 It's the Standard Chartered WorldMiles MasterCard Credit Card! Anyway, the WorldMiles program is a unique travel loyalty program, where you can enrol by signing up for the Standard Chartered WorldMiles MasterCard credit card. 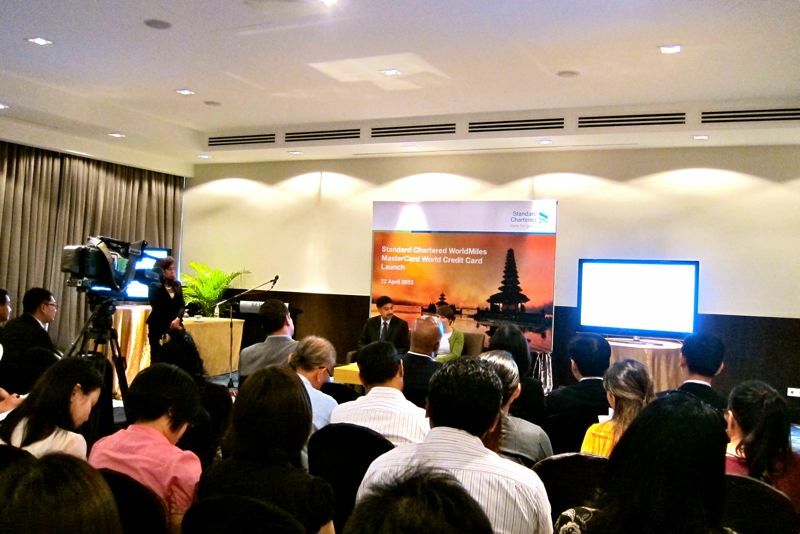 So as part of this program/membership, you can earn and redeem miles on the selected airlines. 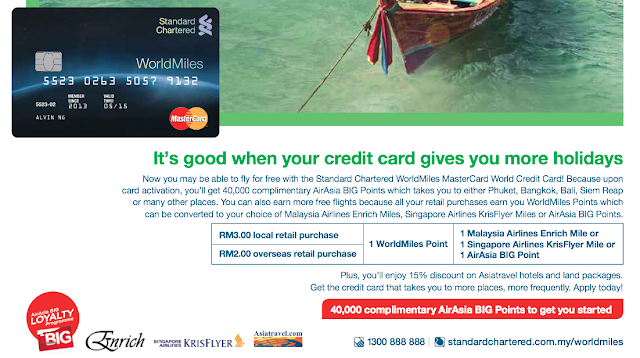 There are a lot of exciting offers when you become the Standard Chartered WorldMiles MasterCard credit card member! So what's so special about this card? Well, the Standard Chartered WorldMiles MasterCard credit card members will enjoy accumulating air-miles from three leading partner airlines - Malaysia Airlines, Singapore Airlines and AirAsia - in a faster and more cost efficient manner. So how does it work? How do you earn the points and redeem for flight tickets?? 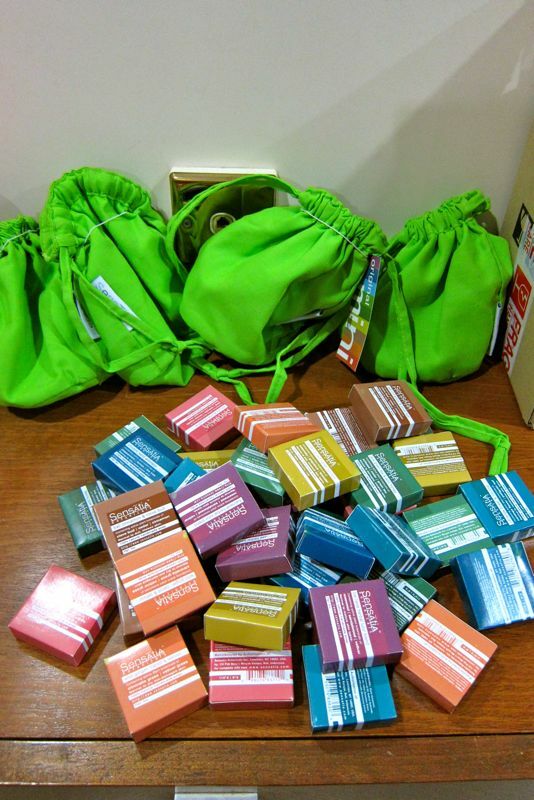 Just swipe your card...and accumulate the points you get! 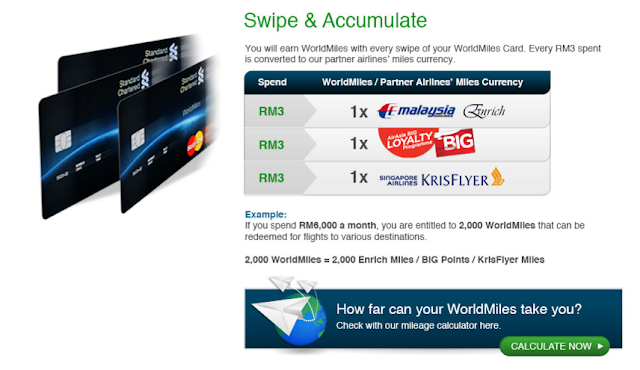 Every RM 3 spend on the card earns customers a 1 WorldMiles point which can be redeemed for 1 Enrich Mile or KrisFlyer or even 1 AirAsia Big Point. And overseas spend, allows customer to earn 2 WorldMiles points! So upon card activation, new customers will receive complimentary 25, 000 AirAsia BIG Points which is redeemable for round-trip tickets to Hong Kong, Phuket, Bangkok, Bali and many more destinations!! How exciting, huh?!!! 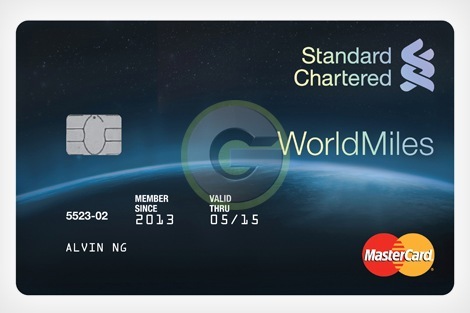 I will definitely ask my friends to sign up for this credit card, and then we can go holiday together for free! All we have to do to earn more points, is just by using the credit card! In other words, let's do more shopping! hahaha. 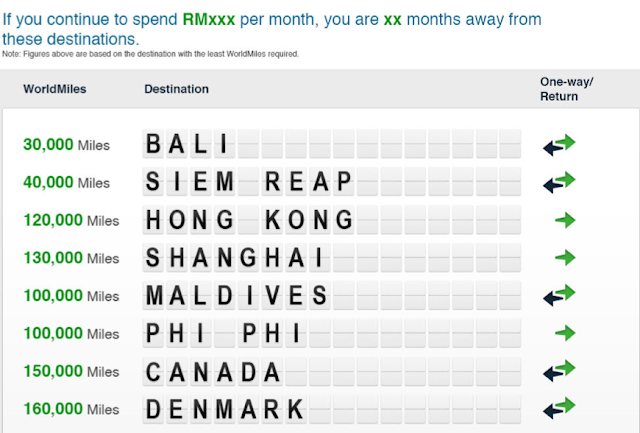 Imagine.....redeeming for flights to all these amazing locations? Oh la laaa! Anyway, other benefits include exclusive discounts n privileges from travel providers such as hotel, car rentals, holiday packages as well as retail and dining. Now I can't wait to start using it continuously...and see if it can really help make my skin looking glowing and flawless! 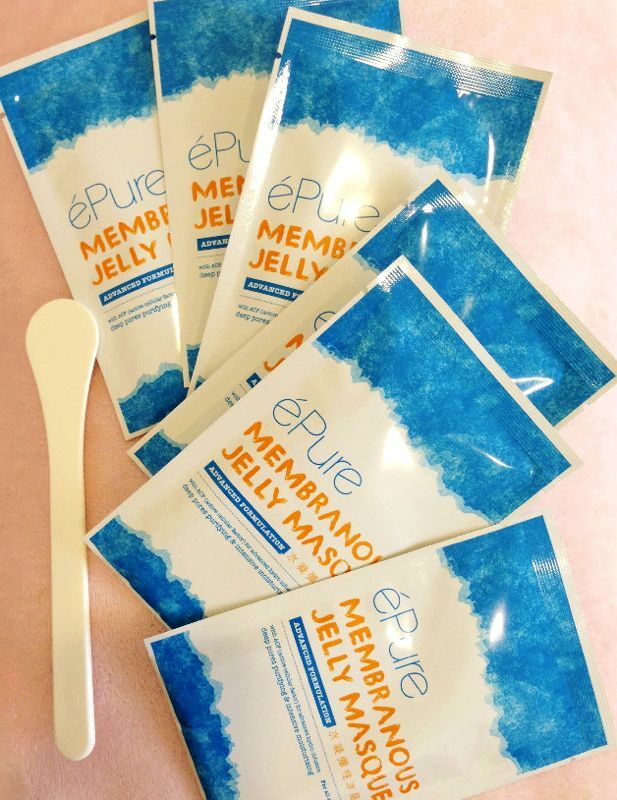 By the way, just letting you know that HiShop now is having a 20% discount for ePure Jelly Membranous Mask! Promotion valid from 15th to 16th July 2013 only! So go try it and buy now!!! 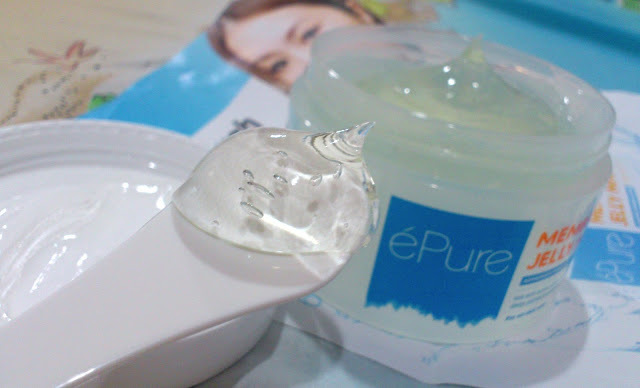 ePure comes in 2 types of packaging: Jar and sachet format. It is essentially the same product but 2 different packaging. 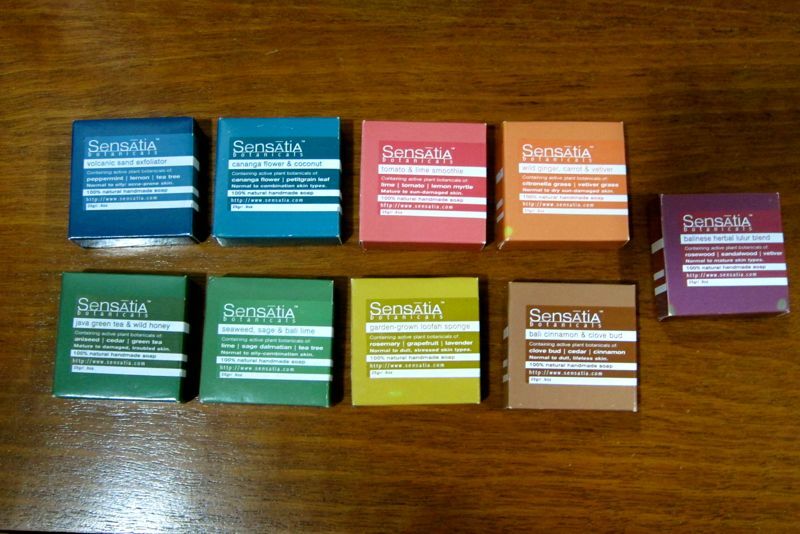 The price for sachet is RM89.90 (30g x 6 sachets) and jar: RM130 (250ml). 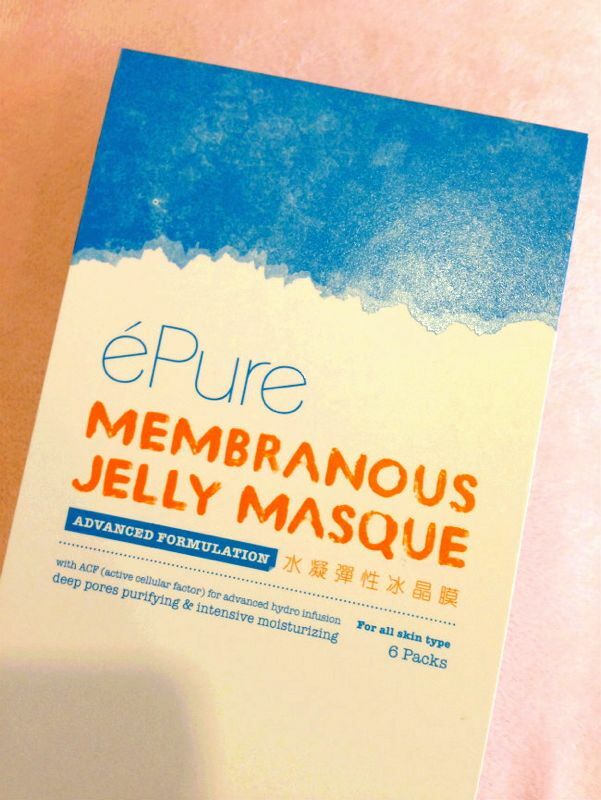 You can purchase your ePure mask here: http://www.hishop.my/epure. I'm going to buy the jar one!! 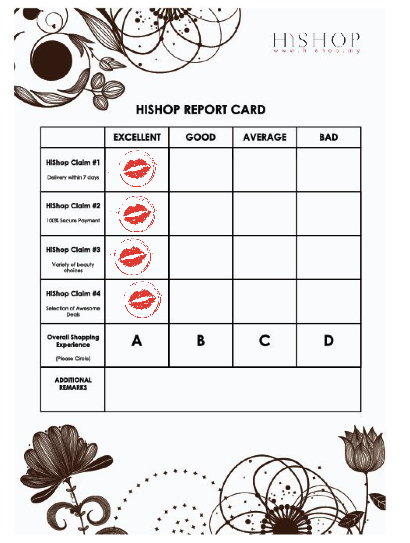 Now, go subscribe to HiShop’s newsletters, for exclusive offers and latest beauty news. Did a little revamp on the blog. Changed the layout and settings a bit last night. I was bored with my old blog template/layout, fonts, etc. It has been about two years now that I haven't update or change anything about this site. I've been meaning to do so for months and months actually, but never got the time to do it because I'm no HTML geek. So...doing all these codings definitely gotta take a lot of time for me. Until my next post! See ya! Ever since I was 15 (that's when I started to know a little bit more about weddings other than from watching Disney movies), I have this little ideas and rough planning/fantasy of my own wedding... The colors I want, the theme, the dress, etc - lotsa imagination and things I want.....but only thing is, I don't know who the guy is! hehe. So back then, I have always imagine that I will have this one particular Wedding Book that I would jot down everrrry little things that's related to my wedding in it. I imagined that my book would be thick, plain, white and hard cover...with some writings on it that says, "The Wedding Book" or "My Wedding Book" or "All Things Wedding" in Tiffany Blue fancy fonts.. like the Zapfino fonts or something. So anyway, I have been searching for THE book... The kind that fits the bill. You know very clean, simple and elegant. I want a white, plain, hard cover book...with lotsa pages. I found some. But they just didn't look and feel right to me somehow, I don't know why..
Then I found those typical Wedding Book that they sell in bookstores. 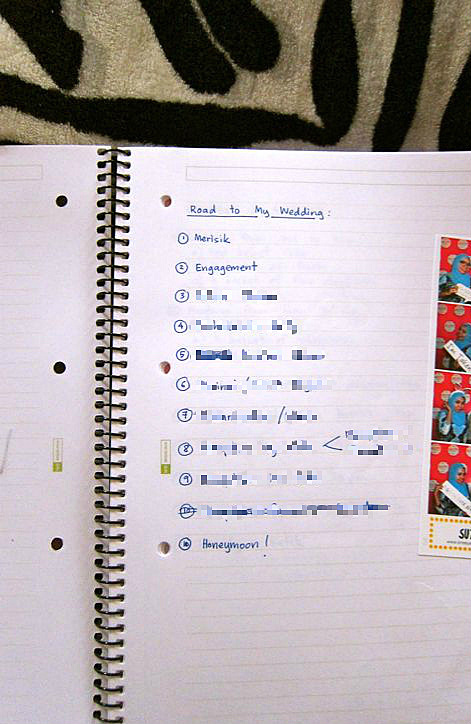 You know like those guidelines, planning book...for a very modern, western weddings. I bought some. But still, they too didn't feel right. - I mean of course for the obvious reason! 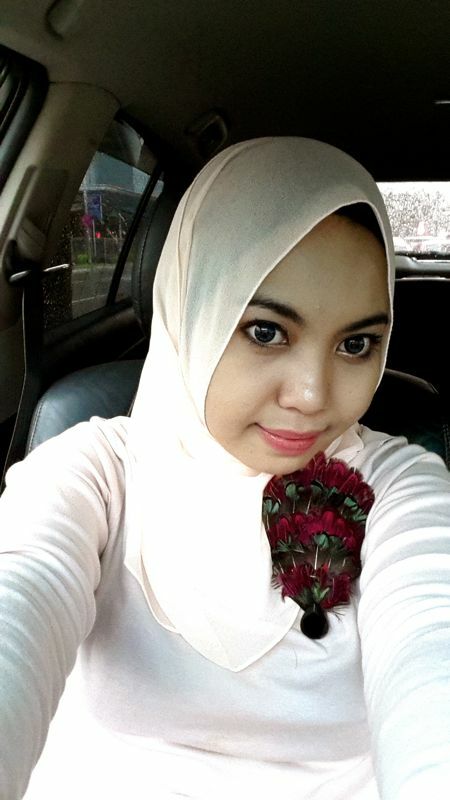 I'm a Malay...and our wedding, tradition and ceremony are very different. So it's kinda absurd to actually follow the guidelines made by the book right? Cuz a lot of things we do it differently! So I began searching some more... I just want a plain book...where I can write anything I want, whatever I plan...and maybe draw something or stick pictures and make it a bit of a scrapbook or something. Then one day, while I was rearranging my work station in my room..which was before my Merisik and after he asked me to marry him (we'll get to that part later! 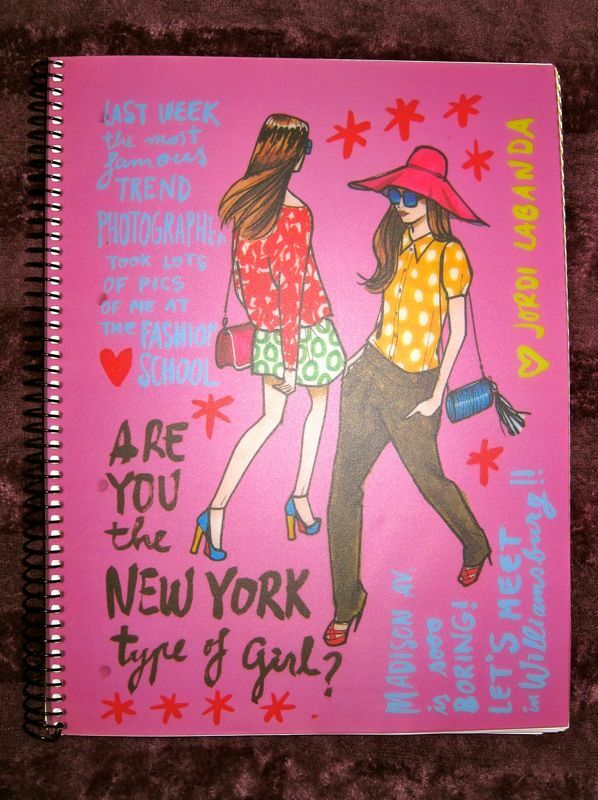 ), I saw these Jordi Labanda's notebooks that I purchased awhile back in Singapore! I kept that book for a few months unwritten. Cuz I don't know what should I do with it. I felt so sayang to use it... Cuz the book is too pretty. But the moment when I saw that book while I was rearranging my files, I knew it was going to be The One! As of now, the book is almost full. I update it almost every day! haha.. I tend to forget things easily! 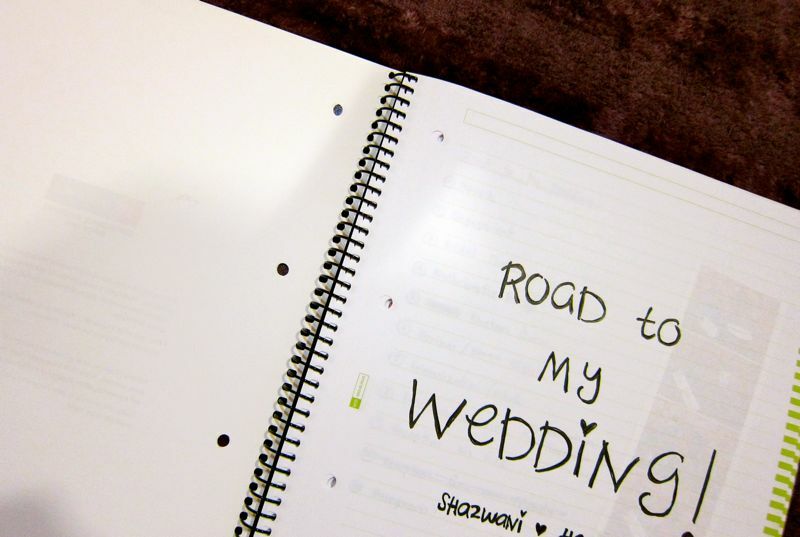 So I need this kinda book to jot down whatever that is on my mind that's related to my wedding! I will pass it down to my daughter/kids some day, if the book is still alive..hehe..and show them, that their mommy was full of imaginations! hahaha ;p - Nahhh...this book is actually to record every moment and details of my wedding cuz I'm a detail person like that. 19 comments : Labels: Feelings / Emotions , Life and Love , Road to My Wedding! 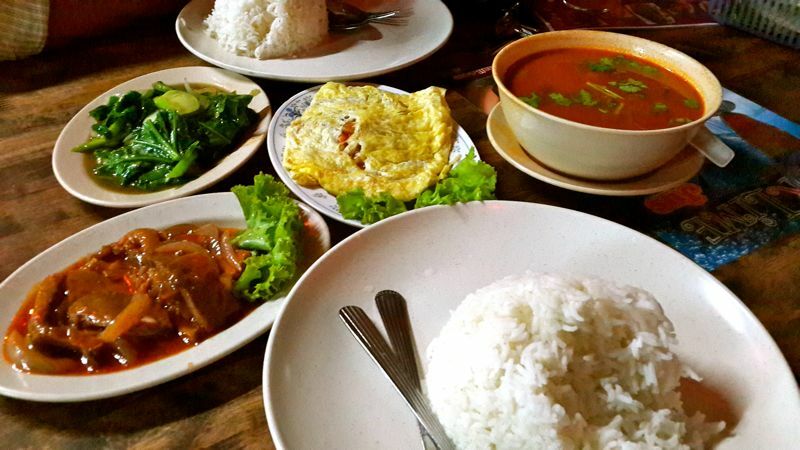 , Saturday Romance , This is Happiness! I got my hands on the new Samsung smartphone, the Galaxy S4!!! Hoorah! So in this post, you gonna see quite some random pictures from me, that I took using this phone. And I'm also gonna share some parts and features of it that I love.. -- I gotta be honest though, I am not really a techie/gadget freak. So I don't know much on the hardware/software..or how to explain on the other technical parts of this phone. haha. So if you would like to know more, you can just go to the Samsung store and ask them! ;p Cuz normally, whenever there's a new gadget coming out, the only thing that would be my huge concern would be the camera/picture quality! haha. But of course the size, the display, the battery life, etc are important as well! So today in this post...I will share with you guys some of the awesome features that I love! 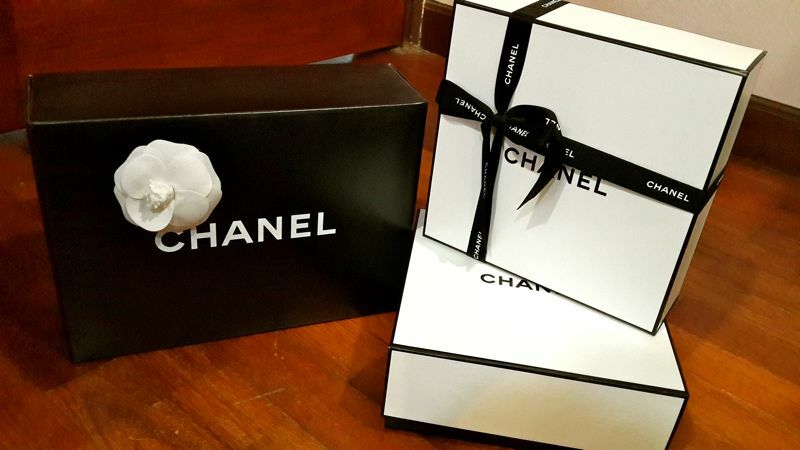 OK, first off, I like the compact packaging! 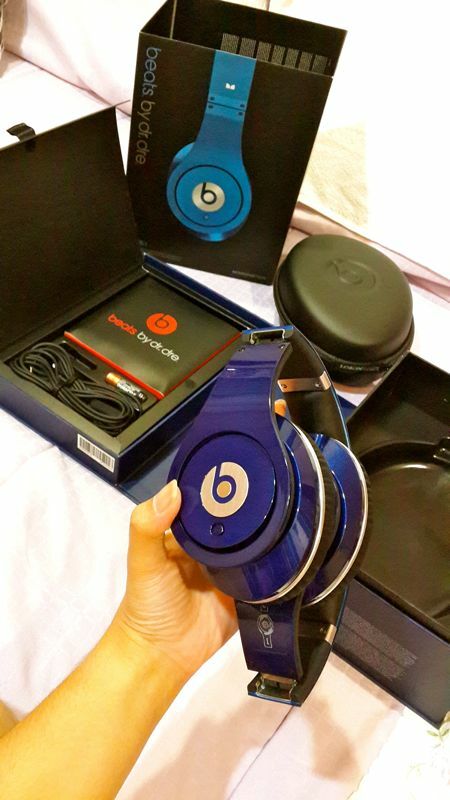 Inside the box, you’ll get all the typical things when you purchased a smartphone.. like the manuals, the USB cable, the earphones with buds and the power adapter. The phone comes in Black Mist, White Frost, Brown Autumn, Blue Arctic, Red Aurora. 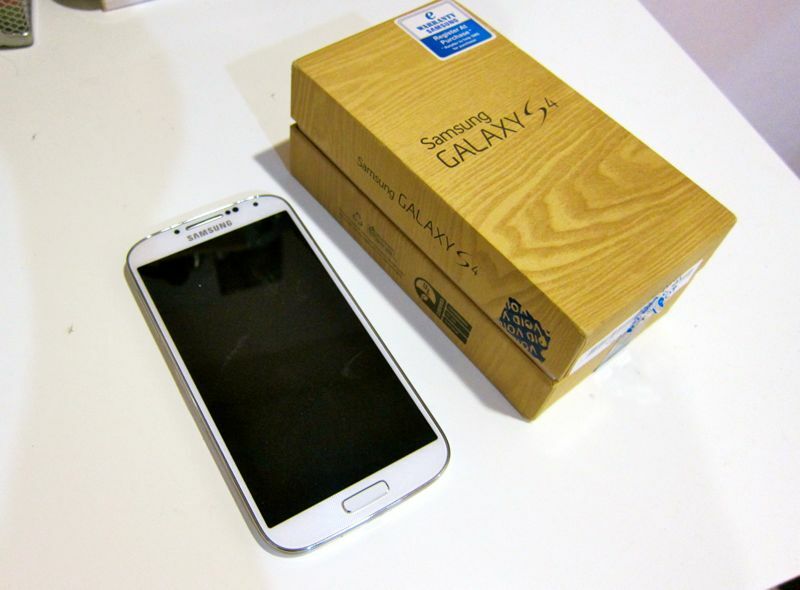 So....what's to LOVE about this Samsung Galaxy S4?? For someone new to the Android world, this phone has given me such an excitement for each time that I'm using and playing with it! I don't know whether it's because of it's display screen (brighter & bigger than my current phone), or it's damn fast processor and super fast responsiveness and speed, or the awesome interface..or the amazing 13 megapixels camera..or the thin, sleek design....or just about everything about the phone! The overall design of this phone is similar to the Galaxy SIII..which I gotta say, it doesn't really wow me at first, because it looks like plastics so it doesn’t make that high quality impression. But what struck me immediately upon holding this phone is that the phone does feel good in my hands! The phone has a sleek design, thin dimensions, it is very light and so easy to hold! Other than that, the vibrant display is also another huge plus point! - I love vivid, bright, sharp & strong colours in pictures, so it was great to see such an enchanting huge AMOLED HD display, coupled with crisp, bright & vibrant colours! Now this is really my main favourite thing about this phone!! This phone has a 13 megapixels camera. Having taken several shots in different lighting conditions, and compare them on other smartphones in the market, I think it’s fair to say that Samsung has really did it! It takes really crisp, sharp and bright photos! You would want to take a selfie photo A LOT! hahaha... - I just love how the camera is very quick & responsive when I take a few shots in one go. Now let's have a look at the clear, vivid images that I captured using this phone! - All pictures shown here are unedited, unless stated! This restaurant is quite dark actually...but the picture turns out to be quite bright! This is called a selfie shot! hehe. Taking a picture while stuck in the jam during rush hour.. This is another function that I love on this phone - the camera applications! It can do awesome things like having a dual camera function where both the front and back cameras are activated so that you can take a picture of yourself and whatever is in front of you all at once! Also, you can create a little gif image too! Taken in good lighting conditions using the back-facing camera. Taken in good lighting conditions on the front-facing camera. Ahhh...thissssss!!! Damn cool, man! Just by waving your hand in the air above the phone, can help you do a lot of things without having to touch the phone!!! For example, it can help you to answer a call, or view email or websites, scroll the page up or down, check the notifications, missed calls, new messages, time and date, browse images, songs, and so much more!!! Now this is specially for heavy app users and users who like to back up their devices. Many gamers complained that the installation of certain memory intensive games, quickly ate away at their ROM after installing just a few games. So I bet these users will likely find the removable micro SD card and the transfer option as the simplest solution to this problem! Similar to games, many apps can be comprised of large files that quickly take up the ROM. So this is great especially for the users who love to download all the latest apps, and keep everything in their phone (read: me ;p) and soon find their internal storage running low, and then complain that the phone is really slow and lagging all the time.. So one of the main reasons Android decided to take away device to MicroSD transfer, was because it often disabled certain apps from working properly. 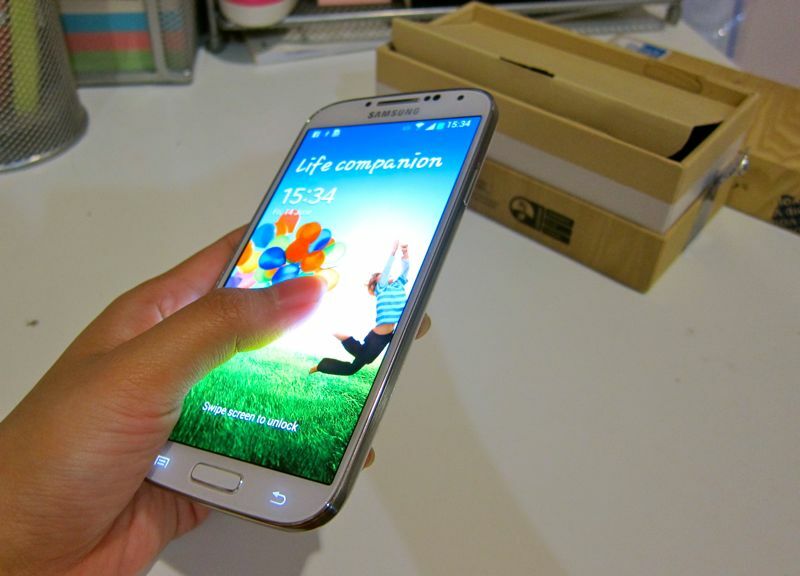 However, Galaxy S4 users will now at least have the option of keeping apps that are better suited for internal storage on their Samsung Galaxy S4 devices and transferring apps that fair well on external storage to a micro SD, to protect the data in the event the hardware is no longer functional. So with the Galaxy S4, users can easily switch their micro SD card into another device. This takes away the hassle of having to redownload and reinstall apps and media one by one, which is common when transferring Google Play purchases from one device to another! I was so impressed with the battery life! This phone lasts from early morning till late at night, which is way more than I expected! Sometimes even, until the next day!! (That never happened to me before! Because I use my phone extensively!!) I was so impressed that I was able to enjoy a full day of uninterrupted and relatively heavy use. And since the S4’s battery is removable, you can always replace it for a very little cost and with minimal fuss when the battery is depleted! No need to bring the power bank around in your handbag anymore! 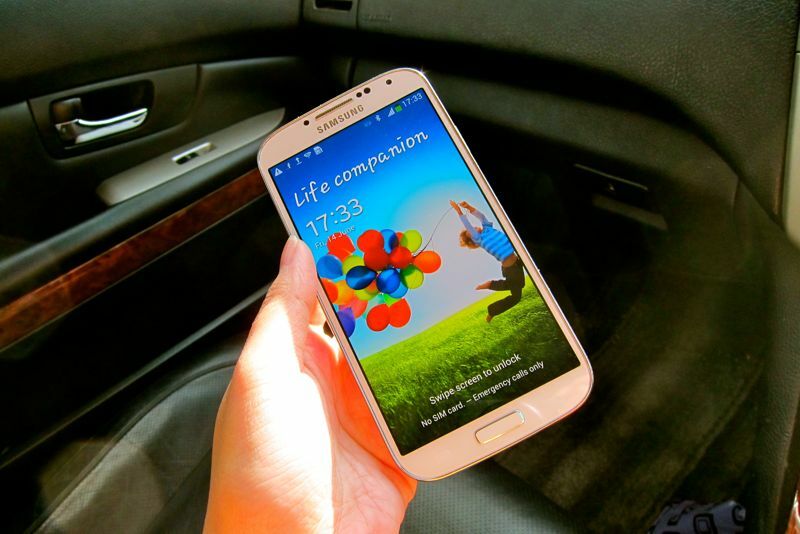 I guess it's true what they say, the Galaxy S4 indeed is a life companion! hehe. 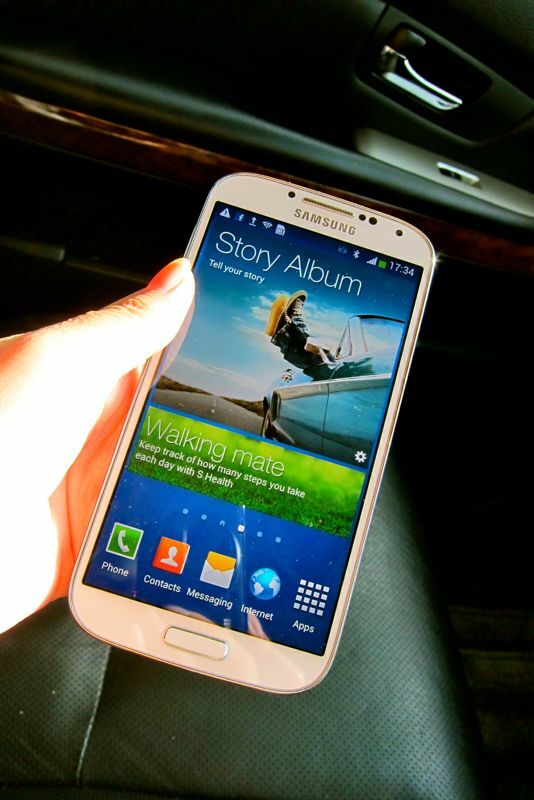 I definitely want this phone..for its awesome features, Air View/Gesture and camera!! So overall, I give it a 9/10! 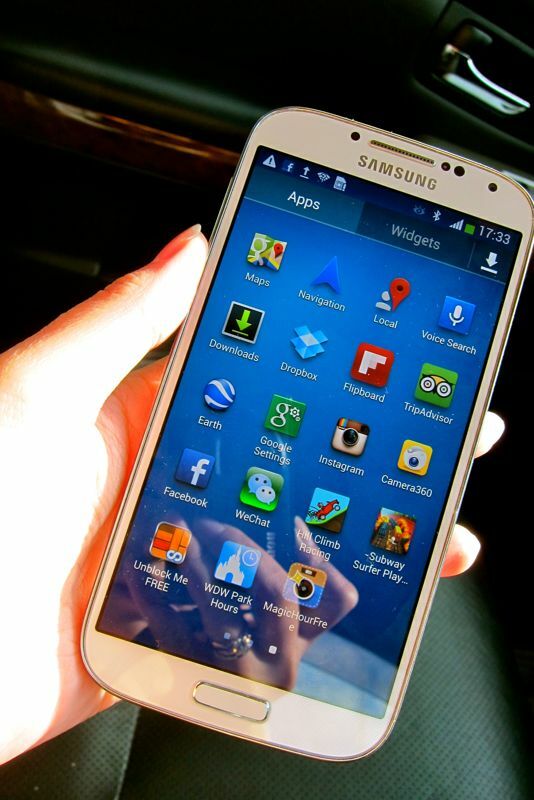 Oh, this Samsung Galaxy S4 is one phone I would absolutely love to own!! !